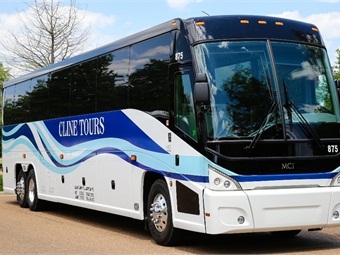 The International Motorcoach Group (IMG) announced that Cline Tours, Mississippi, joined the invitation only North American network. This brings the IMG network to 54 companies and provides expanded coverage in Mississippi, Tennessee, Arkansas and Alabama. “We look forward to welcoming Cline Tours as a partner in the IMG network. Cline Tours will give the IMG footprint in the Southern States a significant boost and we are happy to have John and his team as part of the IMG family,” said IMG President Bronwyn Wilson.